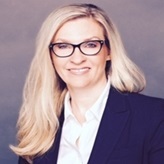 My name is Kelli Gargasz and as an Independent Financial Advisor I founded Client Centric Financial Advisors, LLC specifically to service those individuals represented in these statistics. 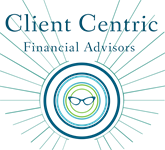 Here at Client Centric Financial Advisors we provide our clients a personalized, one-on-one wealth management experience utilizing a plan based, consultative approach. I spend quality time with each of my clients, getting to know them and their loved ones by asking questions and discussing their personal financial needs, concerns, hopes and expectations both current and future. Once I have a thorough understanding of their unique needs, personal circumstances and what it is they expect from a financial advisor, we start sketching out an individualized financial action plan that includes identifiable targets and client-defined goals. This financial blueprint will then be referenced during each client meeting and adjusted as often as is required providing us a hand drawn map that, if followed, will guide us towards the destination the client has defined as financial success. If you are searching for a financial partnership like I describe herein, please reach out! I would love the opportunity to meet with you and start a conversation. Women: An Untapped Market for U.S. Advisor Talernt. Cerulli Associates Report; January 2017.